Source: United States Department of State. 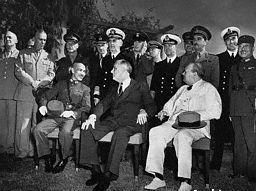 A Decade of American Foreign Policy: 1941-1949, Basic Documents. Washington, DC: Historical Office, Department of State; for sale by the Superintendent of Documents, U.S. G.P.O., 1950, p. 20.